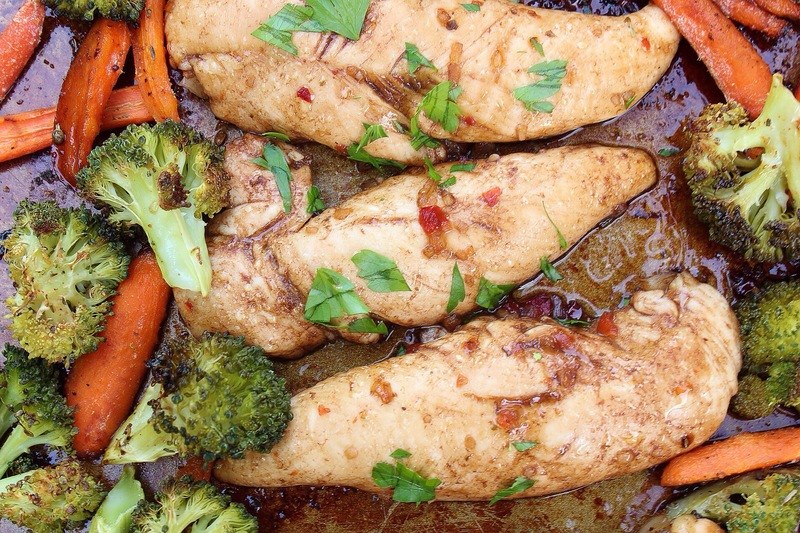 Sweet balsamic chicken and roasted vegetables cooked on the same pan. Which will you love more: the delicious taste, the simple recipe, or the easy clean up? Arrange brocolli and carrots on a sprayed baking sheet, season with salt, peper, Italian seasoning, olive oil, and roasted garlic seasoning. Bake for 15 mintues, then remove and flip over. Meanwhile, while vegetables are roasting, mix balsamic vinegar and Italian salad dressing together in a large bowl. Add chicken and marinate. 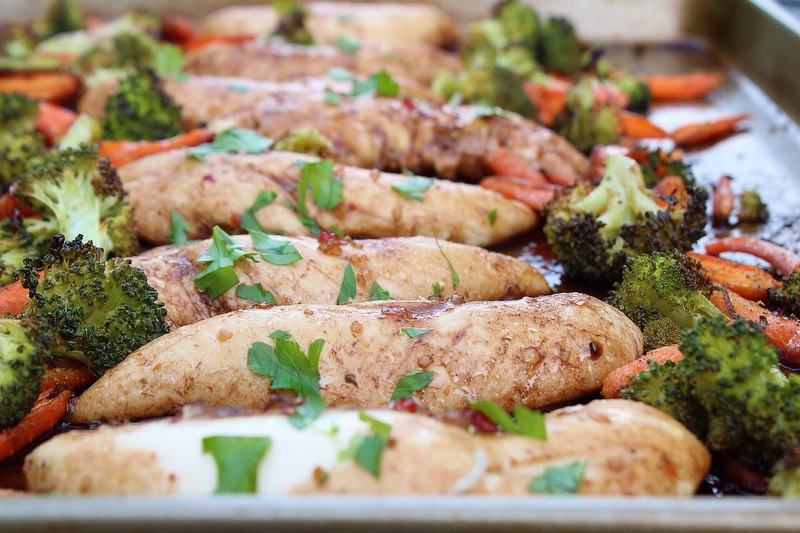 Once vegetables are done cooking, move them to the side of the baking sheet and place the chicken down the middle. Brush the tops of the chicken with the marinade. Bake for another 10-12 minutes or until the chicken reaches 165 degrees.